New kit just up in the shop......Take Note. 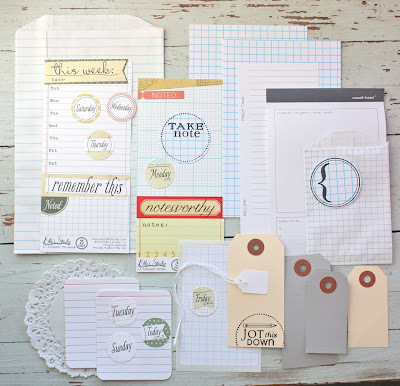 Features nearly 30 fun grid themed embellishments including tags stamped with my Take Note set from Papertrey + Elle's Studio goodies. I'll be using items from this kit for my Week 4 of Project Life. Available in limited quantities.